The Tivoli Lake Preserve sits on the north side of the city of Albany, between the Arbor Hill and West Hill neighborhoods. And how it's situated is one of the reasons it's become overlooked -- it's tucked behind the former Philip Livingston School building on Northern Boulevard on one side, an apartment complex on Livingston Ave on another, a light industrial area on its west side, and railroad tracks to the north. If you don't know it's there, you're probably not going to just happen upon it. Ever since the city hasn't exactly been sure to what do with the land -- talk of possibly making into something more like a park apparently stretches back almost a century. And as a result, the city ended up letting the place drift. The preserve is kind of ragged and overgrown now. Flooding along the Patroon Creek -- made worse by the waterway being sent underground -- has washed out trails and pushed so much soil into the the lake that it's now just half its original size. Invasive plants have choked significant portions of the property. And, as brought up at public comment sessions last year, the preserve's bowl-shaped topography, out-of-the-way spot, and overgrowth have contributed to a sense that it's not a safe place. This image is from the city's vision plan. Lawrence said the preserve hasn't been a priority over the years, so dealing with some of the issues that arose there became difficult as they accumulated. A recent effort is aimed at getting the preserve back on track. A map of potential upgrades to preserve created as part of the visioning plan -- here's the original. That's just a sampling of the many potential options for the land. Kate Lawrence, the planner with the city, figures it would probably take several million dollars to follow through on all the ideas in the visioning plan -- some of the big-ticket items would be farther out in the future, if they happen at all. But she said making the land into a successful preserve doesn't require everything in the plan, and getting it to a level where it's an attraction and resource for environmental education is very much within reach. Running alongside the Tivoli Lake Preserve -- figuratively, it not exactly literally -- is the issue of the Patroon Creek. As mentioned, its current underground course causes problems for the preserve because it can't handle large amounts of water during storms, and flooding results. So the city has been looking at the idea of bringing the creek back above grounds -- what's known as "daylighting." "When you daylight a creek, basically you're creating a more natural stream bed," Lawrence explained to us. + Allow the Patroon Creek to more gracefully handle large amounts of storm water. + Reducing erosion and silting of the lake. + Providing a more natural habitat for fish and plants. + Improve water quality (in part because of those other benefits). + Serving as a natural border between the Tivoli Lake Preserve and the train tracks that run to the along the north side. The state recently pledged $250k to the city for the preserve during an Arbor Day ceremony commemorating the work of Brother Yusuf Burgess, who had long been an advocate for how natural spaces can benefit people in urban environments. Lawrence said the city is talking with the state about disbursing the money, and when that happens the city will be directing it toward a long list of items aimed at making the preserve as inviting as possible for people to use. Some of the items -- such as a comprehensive survey of the preserve's property lines, and mapping and removing invasive species -- will lay the ground work for future improvements. Others -- such as trail improvements, and better signage -- will be more immediately apparent. Also in the near future: discussing how to go about daylighting the Patroon Creek and getting grants to help with that angle. 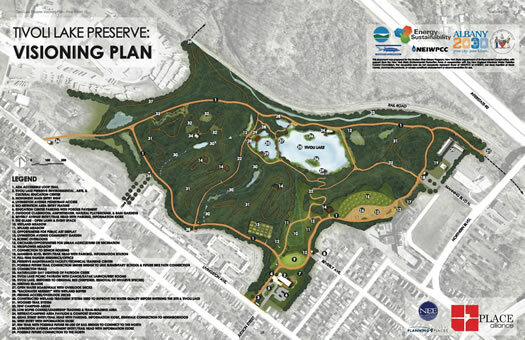 Lawrence said initial improvements for the preserve are very much in reach. "I think people should start getting excited about Tivoli." Note: This post originally mentioned that Tivoli Lake Preserve is the "second largest urban nature preserve in New York State." The designation pops up a lot of places -- including the city's website. It is also, we now hear from a knowledgeable source, not true. The "urban nature preserve" tag apparently also applies to places like the city of Albany's Normanskill Farm, which is... yep... larger than the Tivoli Lake Preserve. Also: This "current state" section has been adjusted a bit to provide more specific context. I used to take my dogs there all the time. The wooded part of the existing trail around the pond was a bit overgrown, and the pond was not completely clean (mostly because the water does not flow naturally), but there were still plenty of areas to walk and actually feel that I was not in a city. I hope that something gets done with it, but I would stay away from picnic areas, pavillions, and other amenities, which will take away from the natural character of the preserve. There are parks for those sorts of things. The preserve should stay as wild and natural as possible. This is so exciting! I have always wanted to visit the preserve, but heard different stories about safety and overgrown trails. Would love for this place so close to home to be restored. Being a home owner is this immediate area I would personally enjoy if the lake area was revitalized. Arbor Hill requires more positive notes. This would only help people outside the community realize you can come not only to Albany but to Abor Hill and enjoy what the city has to offer. Hope to see more change and positive promotion of the area. I think itâ€™s great that this hidden gem is being polished off. There is a ton of potential to develop another great natural asset within the city. Iâ€™m also excited that they are looking to daylight the Patroon Creek. I long thought that a bike path network from Six Mile Works, along I-90, traveling through Tivoli Lake Preserve, down to the Corning Preserve would serve as a great recreational (and possibly commuting) asset. Now with talk about the South End bike trail, which could be plugged into the Corning Preserve and new Albany County Rail Trail, we could have a nice, long circular recreational network of biking, running, walking trails wrapped around the city. @Joe, nothing wrong with a few picnic tables and pavilions. It is one of the most effective ways to generate usage of a park. If people can have a picnic there with their family, then they are more likely to speak up on behalf of the park if something endangers it in its future. There doesn't need to be a ton, a few will do. They also promote a safe atmosphere. I agree with Joe A. Let's make improvements, but keep what makes preserve great. Namely, that's it's a preserve, not a park. I love going to this place because it feels like I'm getting away. Flooding along the Patroon Creek -- made worse by the waterway being sent underground -- has washed out trails and pushed so much soil into the the lake that it's now just half its original size. Invasive plants have choked significant portions of the property. And, as brought up at public comment sessions last year, the preserve's bowl-shaped topography, out-of-the-way spot, and overgrowth have contributed to a sense that it's not a safe place. Are there any volunteer opportunities to help with these current issues and if so, how do we find out about them? Seems like trail restoration and signage doesn't have to wait for a comprehensive plan. To echo comments above, I'd love to have something with the character of the Five Rivers preserve right in the city. I love most of these ideas, and agree with Joe A. that 'overdevelopment' would destroy the natural preserve character. However, It would be good to test Patroon Creek for toxic pollution. As a longtme resident, I used to hear rumors the creek was quite polluted, including runoff from the former National Lead low radioactive waste recycling site on Central Ave., as well as waste from the former RR engine yards in West Albany Industrial Park. I love the idea of a bike network from Six Mile Waterworks to Tivoli and then Corning Preserves. It is a challenge to get from Route 85 to Fuller Road on a bike along Washington Ave, extending a network from the Tivoli Preserve could be a great asset for commuters. Since NYSERDA and SUNY Polytechnic CNSE are both near the Waterworks, this could be a great infrastructure investment for them to make. I would love to understand more about where Patroon Creek is and how extensive the daylighting project could be. 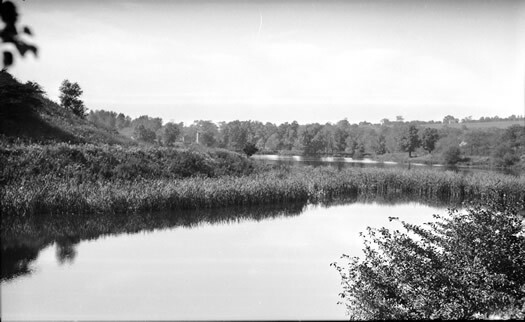 Interesting background on Patroon Creek and connections between Six Mile Waterworks and Tivoli Preserve - http://albarchive.merlinone.net/mweb/wmsql.wm.request?oneimageℑid=6165500. While I appreciate the sentiment that we should look to protect and emphasize the â€œwildâ€ nature of this preserve within our city, I think we shouldnâ€™t discount that fact that you have socio-economically depressed neighborhoods on the periphery of this asset that donâ€™t have the same access to the parks that many other residents can enjoy elsewhere in the city. I think we can definitely preserve the bulk of Tivoli, while still offering some recreational park functions along the edges, especially at key neighborhood corridors, which is a suitable compromise. "I think we shouldnâ€™t discount that fact that you have socio-economically depressed neighborhoods on the periphery of this asset that donâ€™t have the same access to the parks that many other residents can enjoy elsewhere in the city"
How is a natural area not an asset? - Northern rim trail with possible connection to unused property north of the rail. There's a lot more detail in the plan. It looks to be a solid compromise between a living education center (community garden, working orchard, Jr. Ranger program, etc. ), recreation area (pavilions, lake access), and preserve (maintenance of wooded areas, removal of invasives in the meadows, use of boardwalks in the riparian area around the lake, etc.). It includes expanded entrance points with the bulk of the recreation facilities at the Livingston entrance and on the lake itself. Lots of info in there. I used to go there a lot and never felt unsafe. It's a lot a matter of perception. I also never had a problem there of any kind. I would bump into people who, like me, were walking their dogs or children. As for development and the park's proximity to depressed neighborhoods, Washington Park, which is a park, is also in close proximity to those neighborhoods. There are issues that only preservation can address, such as wildlife. A lot of animals call that place home. Radically disturbing it will affect the ecosystem of the preserve. What is gained in recreation is lost in sights, sounds and smells of wildlife. It's a choice. I would love to see it slightly improved and cleaned, but left as intact as possible, so that common sights of wildlife (lots of deer there, and geese, etc) are not sacrificed for recreation. Albany has quite a few parks, already, all within walking distance from almost anywhere. -B, I agree about the wealth of information, but not quite as much about the balance you're seeing. What I do love is the possibility of a connection to the land north of the rail. I just hope they keep the old trestles around. The area north of the rails is an absolute gem. @JayK, I donâ€™t disagree that the preserve (natural area) is an asset to both the neighborhood and city at large, but I think that entertaining the inclusion of those recreational options found in our less wild parks (pavilions, picnic tables, etc) is still important to consider, and wonâ€™t ruin that â€œwildâ€ nature folks are looking to preserve. Many of the residents in the Arbor Hill and West Hill neighborhoods donâ€™t have quick, easy access to such park assets, which I think we can seek to blend into the periphery of Tivoli Preserve at key neighborhood corridors, while protecting the wild nature found in the remaining bulk of this asset. Yes, as some will say, why canâ€™t these folks just use Washington Park, but that is the same myopic view point that colors folks perceptions of food availability, where not everyone can easily get to the three grocery stores 1 to 2 miles down the road. Many of the folks in this neighborhood rely on public transit or foot, and I think the least we can do is offer them some opportunities to enjoy some of the â€œurban parkâ€ features weâ€™ve invested in elsewhere, say within some 10 acres of the available preserve, and still given them another 70 acres of â€œforever wildâ€ resources to enjoy. Another thought- Perhaps some of these trail improvements, and other basic projects may be organized as Boy Scout Eagle Rank projects. Any troop leaders reading this? It might be good to get the Girls Scouts, Boys & Girls Clubs, etc. involved in volunteer contributions. Perhaps even a Key Bank "Neighbors Make A Difference" project or other corporate entities such as Blue Cross, etc. could contribute manpower on special weekends? You get the idea. I am overjoyed at the positive feedback and support for the Tivoli Lake Preserve. Creating the Visioning Plan was an amazing adventure that brought together many kinds of groups from our community--neighbors, professionals, scientists, stakeholders, government leaders and officials. The Vision Plan is a collection of voices-- creative and imaginative voices--that see a positive future for this humble property. Though the Vision Plan cannot be implemented overnight, the City is excited to move forward, roll up its sleeves and make this transformation happen. Thank you, Brother Yusuf for all that you did (and all that you still do), to put Tivoli in a ray of sunshine! Bill, I don't completely disagree. There's a park right across the street from the Livingston entrance to the preserve. That entrance also has a massive grass field that could be substantially improved. Still, kids use it a lot. From that grass field, there's a drop, mostly grassy, that could be used for the purposes that you describe. Beyond that point, it should probably be protected. You say, "folks in underserved communities deserve a better park," and I say, "folks in underserved communities deserve access to wild preserve areas." While I think that the latter is far superior to the former, you take a different view of it. In either case, it's not a myopic point of view. While you think that quality of life is derived from a manicured lawn with a pavillion, I believe that quality of life is derived from the opportunity to blend in with nature in its natural state. A nature center and a junior ranger program would be great right at the entrance on Livingston. Kids could learn a lot from enjoying a wild preserve. Not sure they can learn a lot from a pavillion. Extending the existing Rensselaer Lake Trail from Fuller Rd to New Karner Road would be the easy part. Bill, like Joe, I don't entirely disagree, and I hope the two aims can be compatible. I would still wish to limit the park aspects as severely as possible. That said, comparing access to parks to access to food is the height of absurdity. Joe A, it sounds like what you envision for the Livingston entrance is almost exactly what is planned. I don't know if you read the document but it suggests the educational center would be sited near the entrance and the open lawn/event space just past that, transitioning to reclaimed meadowland. As I said above, I'd love to see something here similar to Five Rivers, which also has amenities but lots of preserve space. One of the challenges of outdoor recreation planning at the intersection with natural resource preservation is the issue of use concentration vs. dispersal. No matter how you design it, if the goal is to get more visitors, you will have negative environmental impacts from those visitors. How you integrate amenities has a huge affect on exactly how those impacts play out. Including things like restrooms, picnic tables, and shelters with easy access concentrates use, especially the kind of use that generates negative impacts such as litter and flora trampling. Without amenities, the use is dispersed which makes it much harder to control (you can't put trash bins everywhere along wooded trails) and clean up (hauling the trash out from 30 cans spread all over the facility is a lot harder than 15 cans in high use areas). In this way, designating a portion of the resource to concentrated use actually provides even greater protection to areas of the resource you want to preserve. I think some of the concern may come from the emphasis in the plan on these amenities, but that's likely because there's a lot to discuss when talking about erecting buildings, but leaving areas in a more natural state doesn't take much more than saying just that. Looking at the map, it seems a good chunk of land will preserve much of the wild character, or as much as we can expect in an urban park. Specifically, the trails labeled #31 and the #37 rim trail, and the areas surrounding them. Without breaking out the protractor, it really looks close to a 50/50 split between high use areas and something with the character of a nature preserve. Affect vs. effect, gah. Anyway, I'm just really excited for this, I'll go be quiet now. B, thanks for the explanations. I know the preserve very well, as I lived nearby and walked it dozens of times, exploring different sections of it. I believe that the conceptual design, while very well thought out, robs the area of its preserve quality. Like I said before, I would fully support some sort of development adjacent to the Livingston entrance, and perhaps the meadow that drops down below, up to where the creek runs (this area is mostly wetland in late fall and spring, and nearly dries out in the summer). As for the rest of the preserve, the plan interferes way too much with the habitat, in my opinion. Again, if no other parks were availablke throughout the city, I would probably give it a second thought. In this instance, I think that the opportunity cost of losing a wildlife area versus gaining a recreational area is not neutral. Interestingly enough, I believe that children in those areas, and adults too, would benefit from de-urbanization (I don't think that this word exists). They are already, for the most part, confined to the streets to play (and play they do!). In that sense, it is my opinion that introducing them to the habitat of the preserve would be fantastic. Then there are unintended consequences in development of the land: what you so nicely advocate for - the availability of a park to the residents of depressed areas - could easily become a playground for visitors, indeed people who are not even from those areas. See what I mean? Sometimes you have to be careful with what you wish for. I'm glad that this discussion is taking place. At least it will raise some awareness and indeed encourage the clean up of the area on a regular basis (although it was never terrible since they did the major clean up a few years ago), and the upkeep of the existing trails. Again, I don't think that more trails are necessary, precisely to keep out bicycles, etc, from the wildlife areas. People are capable of walking through woods. And, B, Five Rivers is 450 acres, I believe, while Tivoli is 80. Big difference there as well. @JayK, Obviously, food access and park access fall on varying sides of the spectrum of needs, but I donâ€™t think itâ€™s absurd that as we consider access to all of our services, that those in under-served communities be considered, which often means taking a look at their ability to access it in a reasonable and timely fashion. This is something the previous mayor often forgot to do and am glad the new mayor is actually doing. I for one rely on public transit to get to where I need to go and do not have quick access to a park due to a medical condition that prevents me from driving. Obviously, my ability to eat is far more important than my need to enjoy time with my family at the park, cooking in the outdoors or enjoying a nature trail. However, park resources are still an important piece of the social fabric I very much enjoy about city life and I feel privileged that Albany does support parks in many forms and sizes. However, not all my peers who utilize public transit are as lucky as I, where I can hop on the bus and be at Lincoln Park in 15 minutes or Washington Park in 20 (mind you, with all my recreational gear in tow). It is typical suburban thinking that we can just horde this resource to serve the pleasures of those more well off (and who at the drop of the dime can just say, â€œhey, Iâ€™m going to drive over to Tivoli and enjoy some peace and quiet in natureâ€) and denigrate how folks with less mean can also enjoy these same facets of our city fabric...because, you know, itâ€™s more important to worry about how far that grocery market is rather than absurdly worry about park access. I think Bill is implying that we can walk â€œandâ€ chew gum on these issues. Ye 'old Fort Orange, I haven't had a car in five years, so spare me the lecture on suburban thinking and my ability to easily drive to any park. When I go to this park, I often take an infrequent bus to the old Livingston School, get off a couple of blocks away and cross the lawn to get there. Hardly the posh experience you describe. Also, if you really want to assert I'm out to horde resources, I'd refer you to the recent AOA post in which I actually had the moderators warning us to stay on topic as I berated the Ten Broeck Triangle neighborhood for doing something at least very similar to that. The fact remains that there are no other preserves of this type in or near this area of the city, and there's no reason that its natural features shouldn't be considered an amenity. The plans, as I've read them, mostly remove this aspect of the preserve, and are anything but walking *and* chewing gum. JayK- I agree, there needs to be a line drawn between "park" and "preserve" and preserves should not be converted into parks. The same applies to the Corning Preserve. I know it's cool to hate it right now because I-787 is responsible for its existence, but the plans to create parking lots and park features are going to destroy it. "Please join Friends of Tivoli Lake Preserve, City of Albany, DEC employees and community members on Saturday, June 27 for the second Tivoli Lake Preserve Community Day. From 10 a.m. to 1 p.m. there will be stewardship projects to help restore one of Albanyâ€™s hidden gems. City of Albany will provide shovels, rakes and wheelbarrows, but you are welcome to bring your own tools and gloves. Participants should meet at the Judson Street and Livingston Avenue park entrance at 10 a.m. You can find a map for the park under Tivoli Park on Google maps. 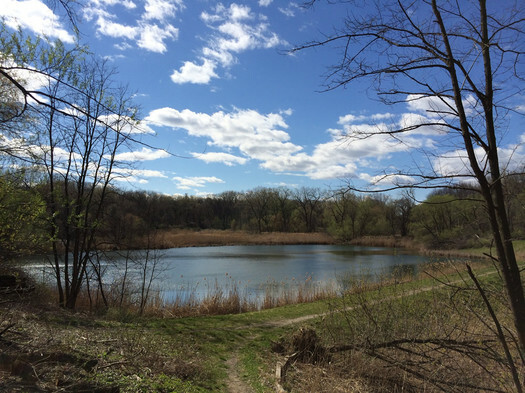 At 1 p.m., you are invited to an afternoon of fun, food and fellowship at the Judson Street and Livingston Avenue entrance to Tivoli Lake Preserve. There will be an accessible camping display, watchable wildlife information, boating safety, and childrenâ€™s outdoor recreation activities. DEC will have family-friendly, nature-based activities and a â€œtouch tableâ€ with furs, skulls and other natural objects. Environmental Conservation Officers will display their ATV and talk about their role in environmental protection. 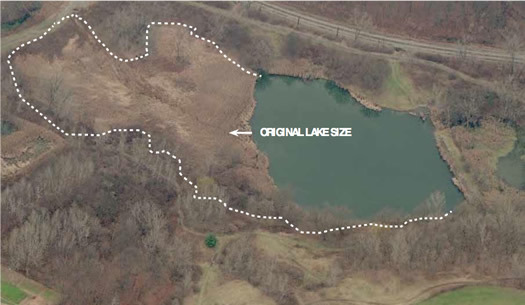 This day will kick off a community effort to make Tivoli Lake Preserve an even more treasured spot in the Capital District to take a nature hike, spend time fishing and explore outdoor skills and interests. I hope you will be able to spend Saturday, June 27 helping with this worthy effort."